[German]As of November 13, 2018 (second Tuesday of the month, Patchday at Microsoft), Microsoft has released several security updates for supported Microsoft Office versions and products such as Sharepoint. The updates refer to the installable MSI version of Office (the click-to-run packages refer the updates to other channels). An overview of the updates can be found on this website, details are documented in the linked KB articles. 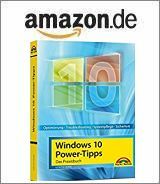 Because it was asked within my German blog: Office 2019 does not appear in the list. Reason: This is distributed via click-to-run packages and receives security updates via the Office Update function. A list can be found here. There are reports, that update KB4461529 for Outlook 2010 is causing crashes. Woody Leonhard posted a tweet.